Two years ago, Google’s Vic Gundotra keynoted the company’s 2011 I/O developer conference, and one of the big surprises of the day was the launch of Android@Home, Google’s attempt to corner the home-automation market. At the keynote, Google also showed the first prototype of what would later become the Nexus Q “social streaming media player” that it gave to every I/O 2012 attendee. Fast forward to today, just a few weeks before the next I/O, and home automation is still clunky and dominated by the same players as before, with the possible exception of Nest. Google has barely mentioned Android@Home since 2011. The Nexus Q never even made it to market after Google “postponed” it just before it was scheduled to launch. Unlike other Google products, both Android@Home and the Nexus Q currently live in no-man’s land where forgotten Google products wait before they are either resurrected or put out on the curb with the rest of its failed products at the next spring cleaning. While most neglected Google products disappear sooner or later, though, the Nexus Q, which got mostly negative reviews, still lives on an unlinked page on Google Play. The Nexus Q was Google’s first attempt at designing its own hardware, and while the Q was a great hardware product, it felt like it was intentionally held back by its software, which was extremely limited. The hardware still looks great today, so maybe it will make a return at I/O this year, but hopefully as a fully featured media player with app support that’ll let you run the majority of your Android apps on a TV. I don’t have very high hopes for this, but it’s definitely a possibility, given that its internals were essentially those of a high-end Android phone. When it “postponed” its launch and gave a free Q to everybody who pre-ordered one, Google said it did so because it wanted to make the Q better – and what better time to show how much it has improved it than at I/O 2013? 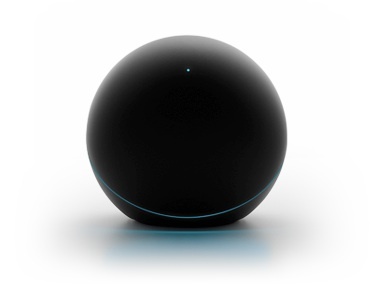 The Nexus Q was just one piece of Google’s larger Android@Home home-automation vision. Android@Home was supposed to revolutionize home automation and turn Android into the operating system for your home. It would let you control everything from your heating system to your washer and dryer, alarm clock, lightbulbs (Google even had a partner for this “launch”), entertainment system and every other appliance. Since I/O 2011, we haven’t heard anything about Android@Home. Google still features the Accessory Development Kit on its homepage, but that’s less about @Home than about talking to gadgets like a Fitbit over Bluetooth.